With the price of gas on a seemingly unstoppable rise, are we beginning to see the advent of the EV as a mass consumer product rather than just a niche for the wealthy and the environmentally conscious? With automotive giants such as Honda and Ford ever refining their electric car designs, could 2013 be the year that electric cars break into the mainstream? Here are the top five EVs that are setting the bar for 2013. More of an all-purpose EV, the RAV 4 EV reaps the benefits of being co-designed by Tesla Motors, the current titan of EV design. Boasting impressive interior spacing and all the whizz-bang safety and entertainment features you’d expect from a brand new car, the RAV 4 EV really makes the argument for EVs as the future of the motoring industry. Well, almost. Whilst 154 bhp, 273 lb-f of torque and an impressive range of 103 miles per charge from its 115 kW motor definitely make a good statement, the $50,000 MSRP will put this out of the reach of most consumers. Factor in the less than stellar 76 MPGe and the standard RAV 4, at almost half the price of its EV brother, looks like a far more sensible investment. You have to admire the ambition, though. Having cut down on manufacturing costs by simply retooling the standard Fit, the Fit EV comes at a rather reasonable price after tax incentives. Don’t assume this is a quick cash-in job, however, the electric motor puts out 123 bhp and 189 lb-ft of torque, meaning a sub-9 second 0-60 is possible. Not too bad for a small, city EV. The city, however, is most likely where you’ll be staying. With a limited range of 82 miles per charge, this is primarily a commuter’s car that’ll get you from A to B during the week and possibly C on the weekend. Efficiency is the field in which the Fit EV truly impresses. 118 MPGe won’t hurt your wallet come the monthly electricity bill, making the Fit EV a solid long term investment for young professionals in the city. Stylish, comfortable, spacious and whisper quiet, Ford must really be congratulated on this newest model. It’s almost indistinguishable from its standard gas counterpart. 143 bhp and 185 lb-ft of torque make the Focus Electric a quick little number, and the reasonable price point only adds to the appeal. With a staggeringly fast charge time (sub 4 hours), the Focus Electric ticks all the boxes from what we want from an EV in 2013. Although it looks more like a squashed bug than a leaf, this hasn’t stopped the Nissan Leaf from becoming the best-selling electric vehicle in history. Economy is what has drawn so many consumers to the Leaf. 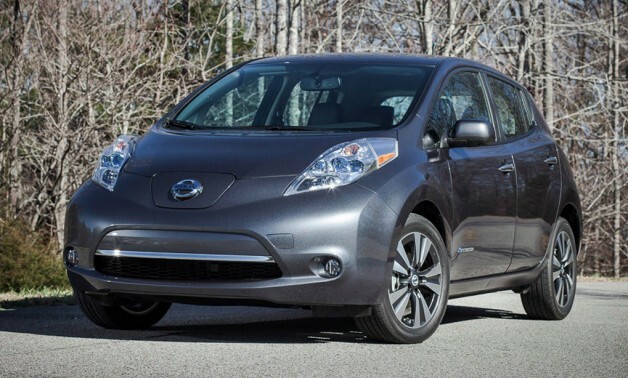 Incredible efficiency (116 combined MPGe) and a price point at just over $20,000 make the Leaf a solid choice for the environmentally and economically conscious. Nissan are clearly aware of this appeal, and the 2013 Leaf raws even more out of its 80 kW motor than in previous years; 107 bhp and 187 lb-ft. They haven’t skimped on the gadgets, though. All the standard entertainment and safety features you’d expect are all in place. This EV doesn’t feel as cheap as it is. It feels a little unfair on the other EVs that we considered the Model S for the list at all. Winner of numerous awards, including the 2013 World Green Car Award, the Model S truly shows what an EV is capable of. Firstly, just look at it. It’s gorgeous. Attention to detail like the fake radiator grill combines with high-tech wizardry in the automatic doors and 17” control panel to make a physically striking piece of machinery. Under the hood this attention to detail persists. The standard model (priced above) can do 0-60 in 5.8 seconds, and its high performance big brother can squeeze it out in 4.2 seconds. Whilst the top speed is capped at 130 mph, you’ll get 260 miles out of a single charge. Although the price point is a touch intimidating, Tesla offers an 8-year unlimited mileage warranty. The fact it still manages to be efficient, stylish and performs so well is a feat of engineering that other manufacturers need to acknowledge. Jamie Waddell is a technology and automotive writer from London. He writes on behalf of JT Hughes, a specialist in used hondas and other Japanese cars. Next Article How Often Should You Get an Oil Change?